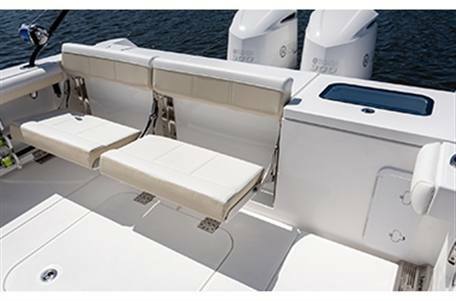 The 335cc's reﬁned layout allows for improved seating throughout. 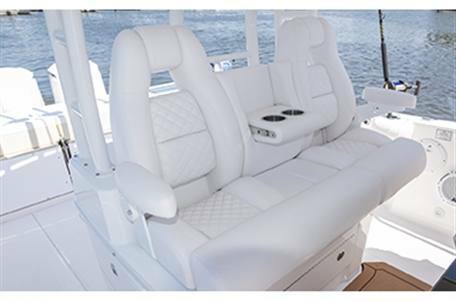 Anglers and their families will ﬁnd enhanced luxurious bow seating - including removable forward-facing bow backrests. 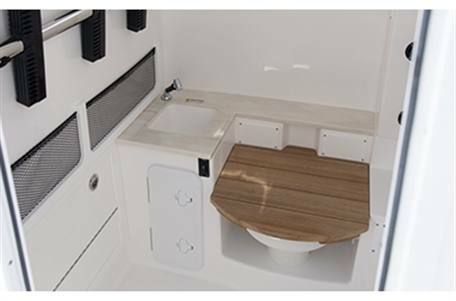 The new model also features larger, more lavish fold-down transom seating - providing a comfortable ride from virtually any seat. 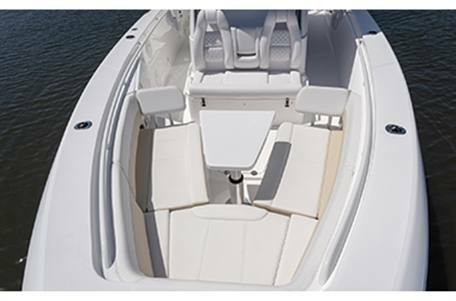 In addition to its abundant amenities, the 335cc continues Everglades Boats' commitment to ﬁshability. 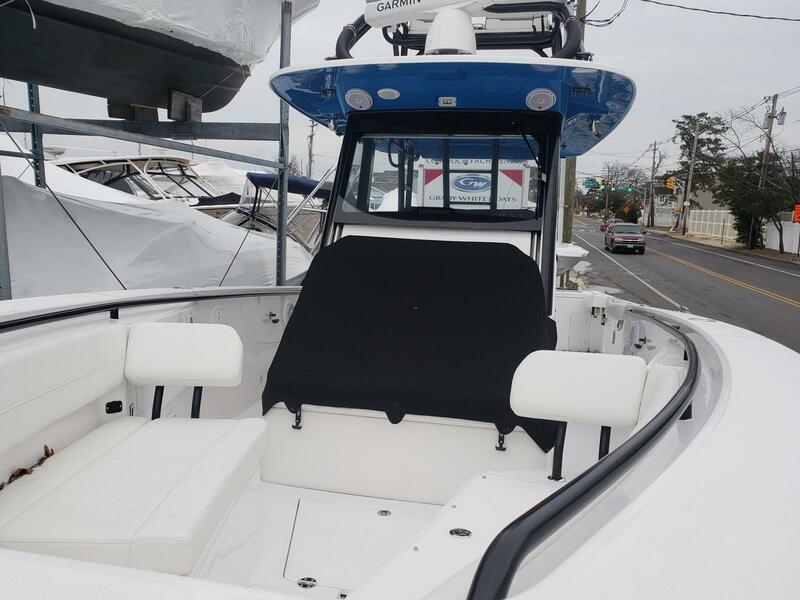 It's larger console and hardtop, plus the bigger built-in coolers and ﬁshbox storage allow for any ﬁsherman to drop a line with ease. 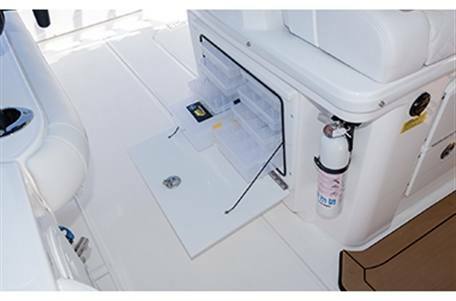 The 325cc's bait prep area and tackle storage were reconﬁgured to provide a more intuitive experience on the new 335cc. 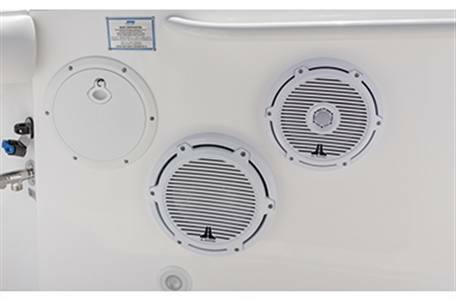 Luxury Is Not An Option: Our latest model also includes more standard features than its predecessor - the dive-utility door and premier stereo system with JL Audio speakers and a Fusion head unit. 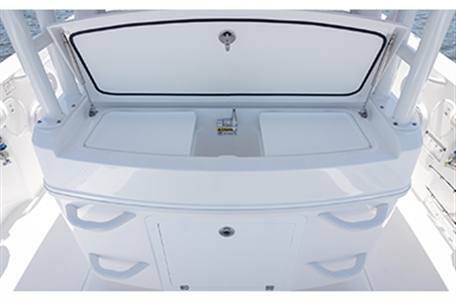 And of course, the easily recognized RAMCAP unsinkable hull continues to set the standard for the safest, smoothest-riding boats on the market today. 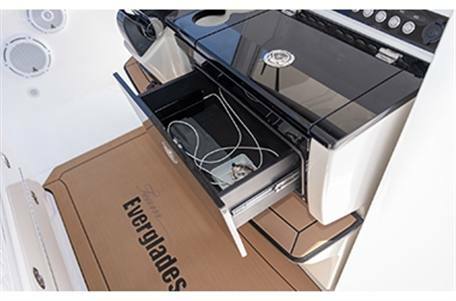 Construction: Setting ourselves apart, Everglades Boats focuses on quality in-house construction - highlighting patented innovations and a luxurious fit and finish. 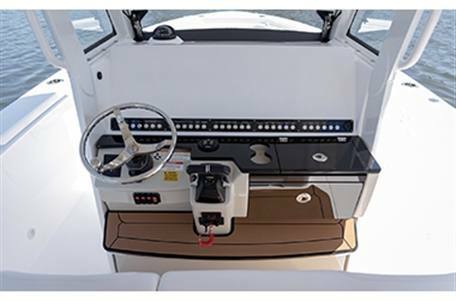 Deck & Cockpit: With every Everglades model, you can expect our ground-breaking engineering processes, precise craftsmanship, and our unparalleled quality and safety standards. 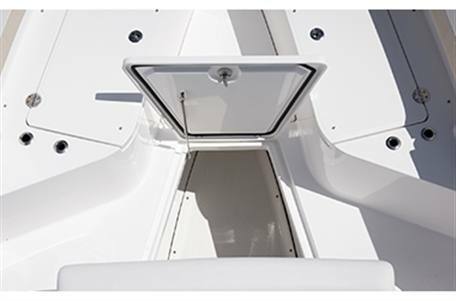 Mechanical & Electrical: Each feature of our unsinkable boats is handmade in-house in our state-of-the-art facility and put through rigorous quality assurance testing before it's deemed seaworthy. 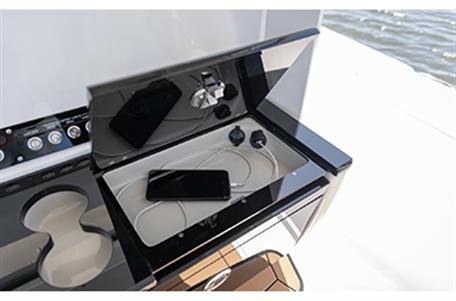 Console & Hard Top: Proudly demonstrating our fine, in-house craftsmanship, every detail of our console and hard top is handcrafted by skilled Everglades craftsmen and women. 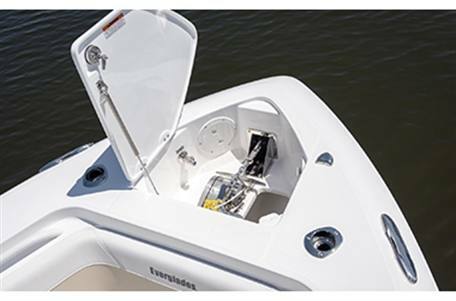 Fishability: Everglades Boats are built from the ground up to be fierce fishing machines. 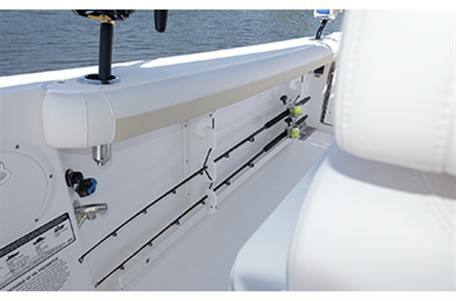 Every boat that leaves our factory is ready to fish - and look good doing it. 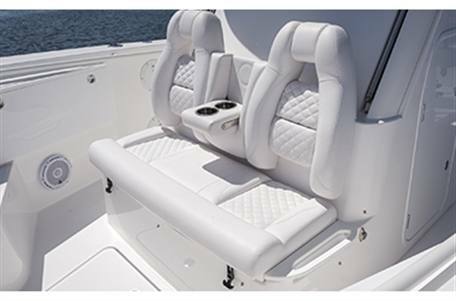 Seating: Take a seat and enjoy the ride! 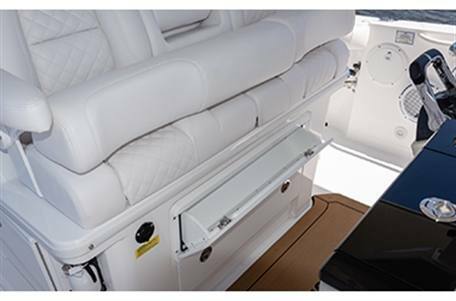 Our seats are custom built for every model and offer the most comfortable and convenient seating options in the industry. 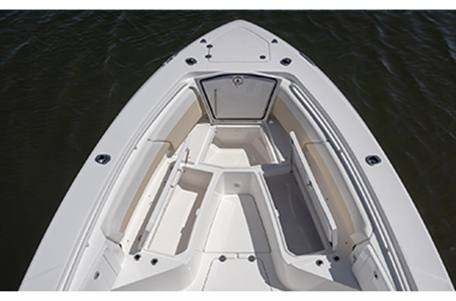 LOA w/o Engine: 32 ft. 4 in. 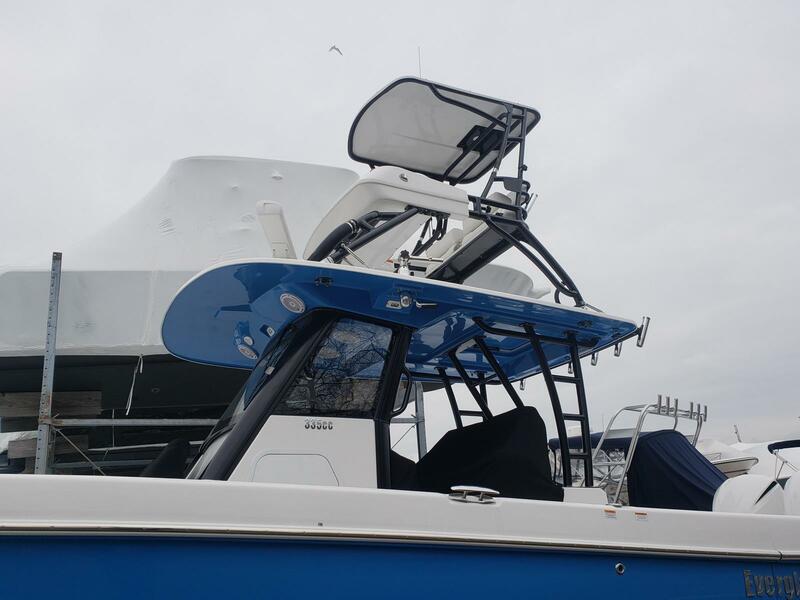 LOA w/Engine: 34 ft. 8 in. Beam: 10 ft. 8 in. 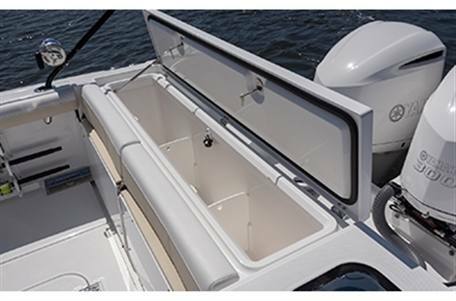 Draft Hull Only: 24 in. 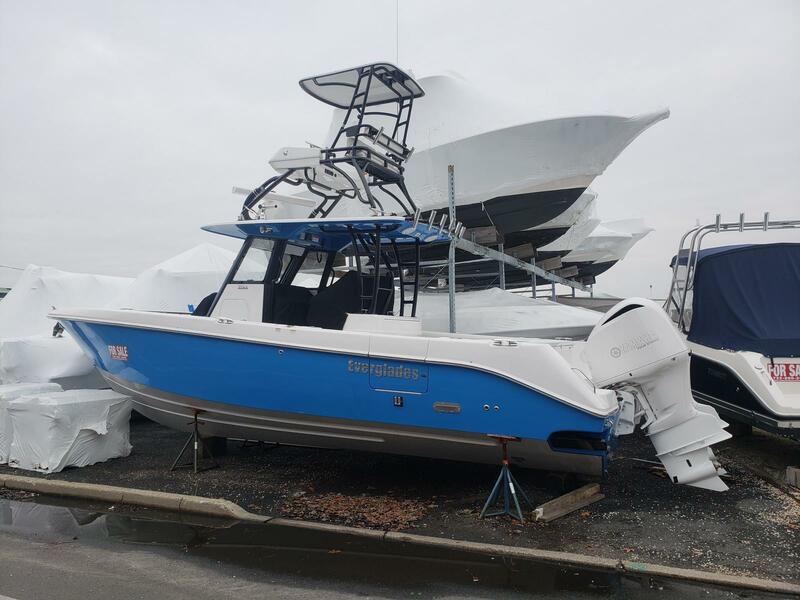 Draft Engine Down: 37 in. Deadrise at Transom: 25 deg. 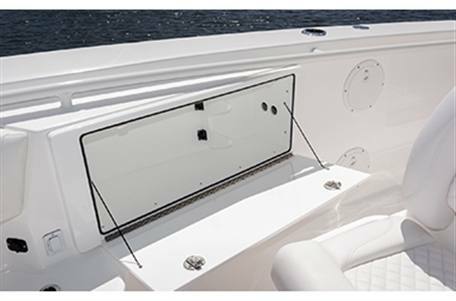 Transom Height: 30 in./30 in. Weight (no engine, approx): 9,500 lb. 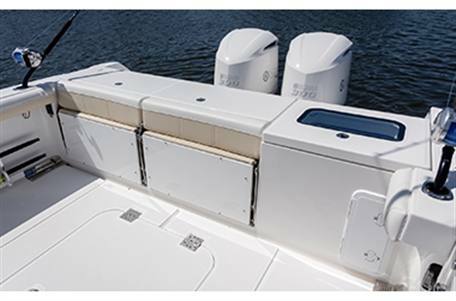 Bridge Clearance w/Hardtop: 8 ft. 9 in. 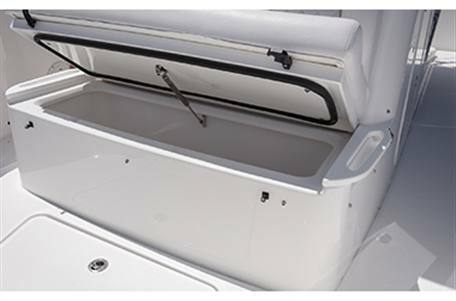 Fishbox Capacity - Fwd: 129 gal. 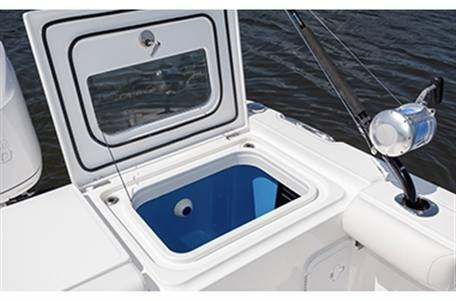 Fishbox Capacity - Aft: 82 gal.